The life you are living is a copy of someone else's. Recognize your whole life is a combination of the values, principles, and frameworks of others' influence on the way you think. You most likely have similar morals to your parents or young teachers. Or, you have opposite viewpoints because of them. The journey of The Avatar Path is intended to be a journey within. You will be guided to assess the values you currently possess. You will analyze where they came from and why you hold them to be true - because of a deliberate choice, or because it has been pushed on you? It is an opportunity to re-examine what you unconsciously believe to be true. What you have always done because it is what others do, or say to do. This is your chance to make your life your own, rather than following steps that have been laid out for you. Once you realize the influence of others, you can start to strip your life of their effect. You tap into a higher consciousness and the ability to truly think for yourself opens its doors. What makes you happy? What do you enjoy? What serves your soul, and what do you prefer to not have in your life? This is where the change begins. Often times, Harry's students experience this via shifts in behavior. What was working before is no longer working; new ways of thinking create new ways of doing. In any (and all) areas of life, change is possible. Recognizing what makes you feel alive is the first step in taking back your life. It makes you focus on your mind's eye to see the inner desires that fulfill you and only you. The Avatar Path makes you focus on a new way of thinking, but it does not tell you what to think. Your thoughts are formed by your perspective. This book simply takes you back to what you really want to see, not what you've been told to look at. It brings you back to yourself in order to think for yourself. As you experience this shift, new experiences occur. You may find that your expectations of others and yourself are now different. Your opinions of people may find a deeper understanding of them, a greater appreciation, or a realization of what is toxic to your being. You may either jump head first into the passions stirring within you or start to recognize what might be time to give up. Through it all, The Avatar Path is bringing you back to your higher consciousness, your inner being. It is allowing you to see the world around you as your world, not the picture painted. Your new perspective is not a complete rejection of the life you have lived thus far. Rather, it is a door to awaken what your life can be. Your fullest life is available once you realize what you are. What, not who. Who you are is a construct of character, standards, experiences, and beliefs from the world around you. It aims to attach labels and expectations to a being much higher than commonly thought. What you are is much deeper. You are part of something much bigger, something with the power to transcend any definition and descriptions established by the world. Unlock this and more in The Avatar Path, expressed as mental abilities with the power to live a self-determined life. 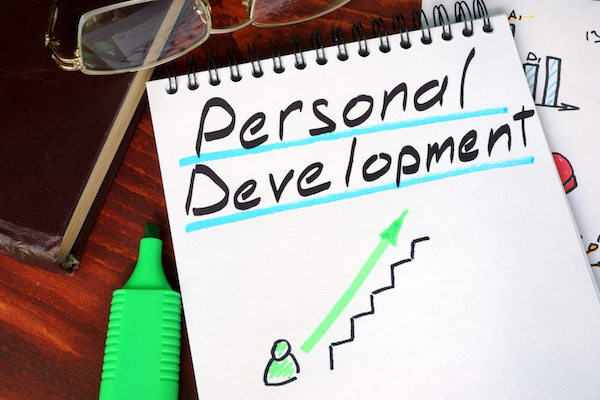 Although self-development is highly personal, meant to be taken on individually, help along the way can be a catalyst to the process. The Avatar Path is a book you can hold in your hands to turn in to a way of life. The Avatar Course is a nine-day self-empowerment immersion in a community of people working towards the same, yet distinct, personal goal. The course takes the path and places is right in front of you. It becomes more than a book you read with concepts to practice; it gives you the practice, placing you in exercises and experiences meant to make your inner self shine. Enrolling in the course is the outward expression of a commitment to something bigger than yourself - your higher self. The time spent with your course community will expand the way you live your life and create new, powerful benefits for the community at home. You will make new friends and see your current friends in a new light. You will find community in the most real, raw way there is. The journey to yourself is more exciting when taken on in a room full of others doing the same thing. The Avatar Path is a tool to live more deliberately. It strips away what you think you know and believe to show you what your inner potential and passions truly are. No matter what parts of your life are in need of change, the course will open doors in the ways you expect and more. Choose between The Avatar Path: The Way We Came, Private Lessons, The Avatar Course, and more, but choose today. Make the decision to unlock the potential of your best life.